The Bureau of Land Management will be hold a public hearing regarding the use of motorized vehicle and/or aircraft in the management of Nevada's wild horses and burros on Wednesday, May 20, 2009. The hearing will covene at 10:00 a.m. in the Great Basin A and B conference rooms of the Nevada State Office, 1340 Financial Boulevard in Reno, Nevada. The hearing is being held in accordance with Public Law 92-195, as amended by Public Law 94-579 and Public Law 95-514, as well as 43 Code of Federal Regulations Part 4700. BLM Nevada proposes to use fixed wing aircraft for population surveys, helicopters for population surveys or capture, or other motorized vehicles to transport captured wild horses or burros or in field monitoring activities during the spring-summer-fall of 2009 and winter-spring of 2010. Editors Note: The original post had yet to receive a response from BLM regarding questions as to what Wild Horse & Burro Herd Managment Areas were covered in BLM's listed "Complexes". BLM has responded and the original post is being changed to reflect this new information. Below is a summary background/history of the Herd Management Areas listed in the Helicopter Hearing notice. Seaman, White River and Moriah Herd Areas were recently zeroed out by BLM in their new Ely Resource Management Plan (RMP), which decided to remove almost 1.6 million acres of habitat from future wild horse management. Law now dictates BLM must remove all wild horses within these now zeroed out areas. American Herds did an indepth analysis of how BLM determined the area could no longer support wild horse herds after 40 years beginning in the November 2008 post, A Slight of Hand through the January 2009 post Abracadabra Addendum. Click Here to learn more. The Caliente Complex includes the rest of the Herd Management Areas BLM zeroed out in their Ely Resource Management Plan; Apple White, Blue Nose Peak, Clover Creek, Clover Mountains, Delamar Mountains, Little Mountain, Meadow Valley Mountain and Miller Flat. The Eagle HMA was formerly known as the Wilson Creek and Deer Creek HMAs and were renamed during BLMs scramble process of the Ely RMP, which combined these two HMAs while simultaneously removing almost 125,000 acres from wild horse use. Last gathered in Febuary 2007, BLM reported removing 752 wild horses with 160 remaining. One year later, new BLM herd statistics reported this same area now had 421 wild horses instead. Rock Creek HMA was last gathered in the fall of 2006 during an emergency fire removal with BLM reporting 52 wild horses still remained. Less than six months later, they reported 220 actually remained. Rock Creek HMA was included as part of the Owyhee Complex in BLMs 2006 Draft "Options for Managing A Non-Breeding Component within Self Sustaining Herds". The Owyhee Complex was cited as including the Owyhee, Little Humboldt and Rock Creek HMAs with a total of 84 geldings being considered for castration and release within the Complex. The Lahontan HMA only allows 10 wild horses within the HMA before BLM cites them as "excessive". They were last removed in February 2004 with the last reported population at 40. The Hickson HMA is an exclusive burro area co-managed by BLM and U.S. Forest Service. BLM established an allowable burro population that ranges between 16-45 burros in 2005 (this means that BLM will most likely only leave 16 burros after each round up in their portion of the HMA). This decision also issued a managment level of zero wild horses, which were removed in both 2005 and 2009. The most current available information indicates USFS has yet to establish any population levels for either wild horses or burros within their area, which comprise about 60% of the area wild burros use. 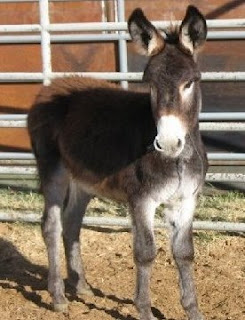 The National Program Office last reported wild burro populations totaled 43 in February 2008. The Tobin HMA found BLM adjusting their allowable management level up from 19 to 42 in 2005. BLMs reported populations found wild horse numbers jumped from 146 in 2007 to 239 in 2008. The Antelope Complex. The last time this "Complex" was used to remove wild horses, it was only reported as encompassing the Antelope and Antelope Valley HMAs. This time, BLM has added the Spruce-Pequop and Goshute HMA's while removing the Antelope HMA. However, Antelope Valley continues to be included and these are predominately the same HMAs BLM grouped together when they did their December/January 2005 removals with the exception of excluding the Antelope HMA during this new proposal. Because of BLM lumping different HMA's together under a "Complex" heading, it is much easier for them to scramble historical prior management activities and populations within individudal HMAs (they are often reported as one giant total to the general public and press) It also presents BLM the opportunity to omit pertinent information from current proposals. As a result, I am going to include the history of the "last" Antelope Complex information for reference. The last "Antelope Complex" has a maximum allowed population level for the Antelope and Antelope Valley HMAs of 583. Wild horses have been removed in 2002, 2004 and 2007. The current "Antelope Complex" proposed for removals includes Antelope Valley, Spruce-Pequop and Goshute HMA. BLM conducted removals in Spruce-Pequop HMA in December 2001 and again in January 2005 where BLM reported 49 remained. Between 2007 and 2008, BLM reported wild horse populations again doubled, jumping from 72 to 144. The maximum allowable wild horse population has been established at 82. As for the Goshute HMA, BLM also conducted removals in December 2001 and again in January 2005. This HMA also saw wild horse populations sky rocket between 2007 and 2008, going from 108 to 194. The maximum allowable population is 123 wild horses. The Antelope Complex, which includes Antelope, Antelope Valley, Spruce-Pequop and Goshute, were recommended for castration and release of 118 geldings to be part of a population management control in BLMs 2006 Draft "Options for Managing A Non-Breeding Component within Self Sustaining Herds". The Calico Complex is comprised of Calico Mountains, Warm Springs Canyon, Granite Range, Black Rock Range East and West HMAs. In 2007, BLM reported wild horse populations for these HMAs totaled 761. By February 2008, BLM changed this figure to wild horses now numbering over 2,000. While a grazing allotment evaluation approved in early 2008 stated wild horse populations in the Calico Mountains area were so minimal, BLM wasn't bothering to monitor their effects (this was also used as the justification to increase livestock grazing authorizations in the final decision for the Soldier Meadows allotment by an additional 15%), just one month later, turns out populations again exploded in the area. Between 2007 and 2008, Granite Range went from 208 to 301, Black Rock Range East went from 74 to 215, Black Rock Range West jumped from 76 to 399, Calico Mountains went from 264 to 549 and Warm Springs Canyon sky rocketed from 139 to 607. Based on this fantastical change in wild horse populations in just one year, some of the questions the public MUST ask is; Is BLM really THAT bad at being able to figure out how many wild horses are actually on the range? If they can miss hundreds of horses every year, how can they POSSIBLY issue legitimate livestock grazing authorizations that conserve and protect public resources? Expect an emergency removal on this one. Recently, witnesses in the area have reported wild horse populations are indeed now highly excessive with little hope of the range being able to support them through upcoming drought conditions. The Calico Complex has also been recommended for castration and release of 104 geldings to be part of a population management control in BLMs 2006 Draft "Options for Managing A Non-Breeding Component within Self Sustaining Herds". Since the hearing is being restricted to only include public comments regarding the use of aircraft and motorized vehicles, you may also want to check out this pictorial report complied by wildhorse and burro advocates titled, "The Use of Helicopters to Remove Wild Horses and Burros From Public Lands" by Clicking Here. It is a large file due to all the photos so wait for it to download. You may also want to ask BLM the same questions that have been put to the National Wild Horse & Burro Advisory Board Representative of Veterinary Medicine, Dr. Boyd Spratling since the summer of 2007, which he has so far failed completely to address. Click Here to view. Also, since BLM is including discussions about census methods, perhaps some questions should be raised about how they swore their census methods USE to be reasonably accurate - until a few years ago when they announced to the National Wild Horse & Burro Advisory Board that they had actually reached their national population target in December 2006. You may also want to ask BLM about the statewide census done in Nevada and commissioned by "Dances With Wolves" author Michael Blake conducted in 1992, which only found 8,400 wild horses statewide. At that time BLM reported there were over 33,000 wild horses and burros in Nevada, not 8,400. Back then, there was significant evidence that BLM was grossly OVERCOUNTING (or should we say reporting) wild horse populations. What a difference a decade or two makes, huh? Of course, wild horse and burro advocates attempting to point out how far BLM was off in their counting and reporting methods were also swept under the carpet by the ominpotent authority of BLM, a trend which continues without accountability today. Click Here to view. Finally, while BLM continues to beat the drum that their counting methods are to blame, the new census method they are planning on now using in Nevada (and perhaps elsewhere) is the result of a study conducted in Wyoming in partnership with USGS (who was the lead agency) on the Adobe Town and Salt Wells Creek Herds. The numbers and reporting in that study were SO convoluted between that study and what BLM reported, it is hard to believe BLM is going to lean on this as their "answer" to the questions being raised today about the remaining wild horse and burro populations. To read "The Wild Horses of Wyoming, A Tale of Tallies", Click Here. For those of you who have trouble reading page after page of numbers that never add up, here's the summary of what USGS last concluded about this "new" method. It only adds an extra +18.7% to the actual number of wild horses that are counted by visual observation (By the way, they NEVER assume that this method might actually be overcounting wild horses). So that's only +3.7% more than BLM's old method and it CERTAINLY doesn't explain how the hell BLM keeps finding thousands of unaccounted for wild horses and burros just one or two years before they are due to be gathered according to their Strategic Management Plan. (This was the document that laid out the plan to remove wild horses and burros every 3-4 years to maintain stable populations). So if you are thinking about submitting public comments for the hearing, perhaps you might want to ask BLM for some REAL answers as to the long string of "population explosions" they keep "finding" the last couple of years since they supposedly reached national AML and how they believe this new method is going to prevent them from STILL missing thousands of wild horses annually with only a +3.7% difference in techniques. Recently, wild horse and burro advocates in Tuscon, AZ applied for a booth at the Arizona’s Game & Fish Department’s (AZGFD) Wildlife Outdoor Expo to help raise public awareness about America’s wild horses and burros - and were denied. AZGFD Deputy Director Gary Hovatter responded to questions posed by Julianne French about the denial in a letter dated March 26, 2009. Click Here to view. His letter opens with a reminder that as a state agency, they are not subject to Freedom of Information Act requests and then moves on to a refusal to provide information about the consultation process that denied the WH&B advocates equal access to the Expo. Even though Director Hovatter admitted the purpose of the Expo was to fulfill the Departments mandate to provide information about wildlife, it excused itself from compliance by citing wild horses and burros were not wildlife. Following this bold assertion, the letter went on to define wildlife was only defined by AZ state law and that federal courts had NOT defined wild horses or burros as wildlife. While Deputy Director Hovatter continued to try and excuse the Department’s behavior through misrepresenting the truth about wildlife classifications, he failed to provide a single legal reference to support his “new” definition - and in this case - he's dead wrong. For those unfamiliar with the history of federal protection for wild horses and burros, the first legal challenge to the Wild Free-Roaming Horse & Burro Act was Kleppe v. New Mexico, which was initiated when group of ranchers seized 19 wild burros and sold them at a state livestock auction while claiming the federal government had no jurisdiction within the state to protect wildlife. On June 17, 1976, a federal judge ruled that Congress had granted wild horses and burros protection on public lands as both wildlife and wild animals and both the Secretary’s of the Interior and Agriculture had the authority to enter into cooperative agreements with land owners and other state and federal agencies to assure their protection. Those seeking to overturn their federal protection argued that the Act violated traditional state power over wild animals but the judge clearly rebutted this argument by stating, “No doubt it is true that as between a State and its inhabitants the State may regulate the killing and sale of [wildlife], but it does not follow that its authority is exclusive of paramount powers”. Finally, wild horses and burros were clearly defined as a federally protected wildlife species as the judge ruled, “We hold today that the Property Clause also gives Congress the power to protect wildlife on public lands, state law notwithstanding” and cited several cases to support the federal governments ability to protect wild animals across state lines that superceded State powers, which included Missouri v. Holland, Toomer v. Witsell, and Hunt v. the United States. AZGF has clearly demonstrated extreme prejudice by acting contrary to federal law through their misguided attempt to again assert State authority as supreme. Their utter failure to acknowledge wild free-roaming horses and burros having been defined for over thirty years as a federally protected wildlife species, which resulted in denying advocates a booth at the Expo, is a travesty and shows clear contempt of both federal law and their unwillingness to both comply and cooperate in the preservation, protection and conservation of America’s wild horses and burros. As Deputy Director Hovatter was overstepping his authority on the state level, Director Larry Voyles was simultaneously demonstrating the Department’s personal prejudices and contempt by testifying last month’s in a Congressional subcommittee hearing on H.R. 1018. Director Voyle spoke out against H.R. 1018’s provision that attempt to increase habitat for wild horses and burros and he focused solely on protecting anything and everything else. Apparently, while leaning heavily on the “thriving natural ecological balance”, Director Voyle doesn’t believe that “balance” is inclusive of wild horses or burros. There’s a reason Arizona’s state wildlife agency has put “Game” first in the Department’s title and expanding habitat for other species such as the high dollar bighorn sheep continues to be their top priority. In fact, AZGFD is so blatant about their allegiance to big game species that generate money over all other wildlife protection and conservation, a post last April in Invisible Voices claimed the AZGF Department should be renamed the “Arizona Hunting Revenue Department”. Additionally, AZGF was included in a lawsuit last April that charged both them and U.S. Fish & Wildlife Service with secretly adding water developments to increase bighorn populations in the Kofa Wildlife Refuge, which are routinely transplanted throughout the state and the Southwest to increase both their habitats and populations. Those who filed the lawsuit alleged they were attempting to turn a public wildlife refuge into a big game hunting reserve. Currently, Arizona is home to almost 7,000 bighorn and 35,000 elk with pronghorn antelope and mule deer populations so numerous, they aren’t even bothering to report them. Meanwhile, Arizona’s wild burro populations, the last outpost in the entire Southwest where herd numbers are still considered remotely viable, have been capped at a measly 1,436. 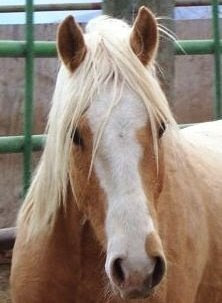 As for wild horses, only 240 are allowed in Arizona before removals are schedules and those numbers include the foals! AZGF has also put out a series of videos promoting their big game species and coincidentally, one highlighting the “problems of feral burros”. In their feral burro expose, they describe in great detail how the burros threaten bighorn and mule deer by eating grasses, how the way they consume forage kills plants and how wild burros in Alamo have been found stripping bark off of cottonwood trees - complete with graphic images of exposed trunks and teeth marks to prove their point. In yet another coincidence, the Alamo area where AZGFD is blaming wild burros for bark stripping, the area also touts a small population of elk, which are well known for their bark stripping tree attacks as well as wallowing in water and destroying riparian areas. If you were to take the time to watch all AZGFD big game video’s, it’s hard not to notice how they aren’t concerned about the effects of grass consumption to bighorn and mule deer from the 35,000 elk roaming the state, only how much the 1,436 wild burros consume. To add even more weight to how overt Arizona’s prejudice is against wild burros, the Arizona Desert Bighorn Sheep Society, which works very closely with AZGFD, has publicly posted under their Goals & Missions that their #5 priority is to “support the reduction of feral burros in bighorn habitat”. Click Here to view. Quite a sweet deal as this open-ended goal always allows bighorn habitat to expand as they are transplanted into wild burro habitat, habitat which then becomes subject to further erosions of resources and allowed population levels and/or are zeroed out to protect the newly introduced “native wildlife”. It packs even more punch since Fish & Game Departments (with the help from such heavy hitters as the Sierra Club) have maneuvered a special status classification for bighorn throughout the Southwest by all state and federal agencies. However, AZGFD isn’t the only one who considers the bighorn hunting’s “sacred cow” as a video recently produced by Oregon’s Fish & Game Department so clearly shows. After watching it, it’s hard to believe these are actually “wild animals” as they look more like a domestic sheep herd and I couldn’t help but be appalled at yet again the bold-face hypocrisy being demonstrated against wild horses and burros compared to other wildlife species. The very efforts wild horse and burro advocates have been trying to get BLM to implement for our wild herds for years are easily carried out for these bighorn – no questions asked. Click Here to view. AZGFD is also involved in a recent scandal regarding the death of the last known jaguar in the country that was inadvertently caught in a trap that AZGFD then collared and set free. Apparently, the initial story was the jaguar was believed to have developed kidney failure shortly after being collared and officials euthanized the jaguar as a result. However, an autopsy later determined the “kidney failure” was actually dehydration and as a result the federal government has opened a criminal investigation into its capture and death. In order to cover their tracks, AZGF have opened their own investigation after the fact. Imagine that…. As Arizona citizens are calling for yet another investigation into AZGF’s continued abuse of their authority, this time by denying equal access to a legally mandated wildlife expo, the Tuscon Citizen printed a letter by wild horse advocate Julianne French on April 7, 2009, "Game and Fish Reined In Free Speech Expo", which blasted the Department for their prejudicial and repressive policies. Click Here to view. In response, AZGF has published a rebuttal on both the AZGF’s website (Click Here to view) as well as submitting this same response to the Tuscon Citizen two days ago in a letter titled, "What's Not Covered At Outdoor Expo". Those who would like to denounce AZGF’s continued persecution of wild horses and burros and call for an investigation into their activities, please use this opportunity to comment and express your outrage by Clicking Here. However, before you comment you might want to read what others have been saying about “Arizona’s Hunting Revenue Department” long before this incident by clicking the links below. Cover photo of Arizona wild burro, #2258 recently removed from the Big Sandy Herd Management Area (HMA). Today is the six month anniversary of the National Wild Horse & Burro Summit held last October in Las Vegas, NV, where wild horse and burro advocates came from all over the county to be led by Summit leaders Jerry Reynoldson (Wild Horses 4 Ever), Karen Sussman (International Society for the Protection of Mustangs and Burros) and Marisa Morin (Healing Power of Horses). Click Here to view the 10/15/08 post, "The Gathering". Recently, veteran journalist George Knapp jotted down a few quick thoughts about BLM’s promotion of Nevada Wild Horse & Burro Lead Susie Stokke (a.k.a. Susie Sunshine) to a shiny new position at the National Program Office. Appropriately titled, “How To Get Promoted At The BLM: Screw Up”, the Knappster reminisces how he always found Susie overflowing with optimism about the Wild Horse & Burro Program despite catching her red-handed telling lies about the budget, wild horse deaths by gathers, by outbreaks of disease, by poisoning, by shootings and a miserable state adoption record. He also mentions the overflowing corrals filled with what he coins as potential “Mr. Ed Burgers” due to the only thing he acknowledged she was good at – removing wild horses by the thousands. Well, the Knappster got me wondering, just what is Susie doing at the National level these days? So I asked her and straight from the horse’s mouth - so to speak – here’s how she described her new position. Well, if it’s not enough to scare the bejeezus out of us that she is now training everyone in the WH&B Program to mimic her techniques, further inquiry revealed part of the “policy guidance” she was referring to includes helping craft the new National Policy Manual for the WH&B Program. That’s right, BLM was so happy with her ability to be caught in bold face lies, intimidating those trying to adopt mustangs and being able to smile all the while wild horses were dropping dead like flies without the slightest accountability, they decided Sunshine’s special techniques must be permanently incorporated in the Program on a nationwide scale! In addition to all the Knappster mentioned, both in his recent article as well as the prolific amount of Investigative Reports he has produced over the years, here’s a few items I’d like to share about Ms. Sunshine techniques that I think earned her this prestige’s position as well. *As Field Manager for the Surprise Field Office, she supervised a gather proposal that also incorporated a new AML (Allowable Management Level) for the High Rock wild horses into one slick, tidy bundle. The technique used to set the new AML was vastly different than the one previous managers used. Instead, a formula based on Animal Unit Months was used that had no foundation in forage or water production for the area. It was also recently discovered in another BLM document that one of the water sources cited for the High Rock area as “heavily utilized by wild horses” back then just happened to be fenced off several years prior to the proposal with no wild horse use even possible due to the fencing. This Preliminary Round up/AML proposal was released to the public for a 30-day review but before the public comment period even closed, an emergency gather was initiated and the High Rock wild horses were removed down to the newly proposed population level. However, Susie didn’t find it necessary to tell the public BLM had already removed them until a few months later - after the horses were long gone and the chance to appeal the decision had conveniently vanished. *Applying two different interpretations of the same formula used to set AMLs for the Muddy Mountains and Johnnie wild burros; one interpretation zeroed out the Muddy Mountain burros while the other was reinterpreted to allow only burros; wild horses in the Johnnie HMA were zeroed out instead. As for the technique she used, which just happened to be the same one used for the High Rock wild horses, here’s what Nevada Department of Wildlife’s Brad Hardenbrook had to say about it. “Since the water data and analysis is absent and the calculated AUMs (animal unit months) are misleading averages and inconsistently applied, the summary and conclusions of the Bureau’s PEA are not valid for the Johnnie and Wheeler Pass HMAs”. *Susie also oversaw the Nevada Wild Horse Range Herd Management Area Plan, where the “No Action Alternative” flat out lied about the fact that in 2004, BLM had already legally committed to establishing new water wells to help compensate for all the water sources wild horses had been fenced out of over the years. There was also that little speed bump of BLM stating in their Preliminary Proposal they had no authority to authorize an all-gelding herd without a change in the WH&B Act by Congress – and then they went ahead in the final decision and approved it anyway. Also, let’s not forget how she orchestrated the wild horse removals with the help of State Director Wenker to circumvent BLM Instruction Memorandum 2004-151, which require BLM to issue a round up EA to the public if they knew the wild horses would need to be removed at least 30 days in advance. Apparently, BLM issuing a Preliminary Gather EA almost a year prior to the “emergency removals” failed to qualify as needing to comply with their own removal policies. *She also helped draft last fall’s Preliminary Herd Management Plan for the Gold Butte burros, which snuck in an authorization to schedule removals whenever burro populations reached 50% of their established AML, currently set at 98 burros. Despite this being the last burro herd left in the Lake Mead area BLM has yet to zero out, it's BLMs intention to remove them whenever population’s “swell” to 49, which of course means they will only leave about 20 after each round up. As far as I know, this plan is still pending…. And so, as Ms. Sunshine has left behind a trail of empty ranges and zeroed out herds, we can now look forward to her applying all she has learned on the national level. If Susie’s oversight in creating the National Handbook wasn’t enough, there is the very real possibility it will be written and implemented without having to go through any sort of NEPA process (a legal requirement of normal proposals). Over the years, BLM has leaned heavily on this method for managing our wild herds until it has become a common place tool that can then be used to circumvent legally required analysis, public disclosure and opportunity for comment or even accountability for the long string of policies they set in motion for which there's no public recourse. According to Ms. Stokke, the only people BLM intends to run the new WH&B Policy Handbook by for approval is the National WH&B Advisory Board. Kind of helps explain why BLM was so adamant about reappointing the same Board Members who have been overseeing their failed policies the last several years – they still needed them to put their rubber stamp on the new National Policy Manual. Recently in her March 2, 2009 public comments, wild horse advocate Julianne French focused on the issue of the Advisory Board and BLM’s recent reappointment's. Here’s a sampling of what she had to say. “The present Wild Horse and Burro Advisory Board reminds me of special interest lobbyists that influence lawmakers decision and policies. The deceitful maneuvering can only occur as long as the public is denied access to information….The cruel and ruthless recommendation of the Board at the last meeting to dispense wild horses and burros instantly without title to foreign countries and kill healthy wild horses is a testament to the BLM’s ongoing selection of board members opposed to existence of wild horses and burros on public lands.” Click Here to read her full comments. When I first began to pursue information about what was going on in Nevada with our wild herds, Nevada State Director Ron Wenker requested I stop contacting the local Field Offices and only communicate with WH&B Lead Susie Stokke. Which reminds me. Guess what I noticed has disappeared from the WH&B Monthly Statistics page on BLM’s website? The numbers of wild horses and burros in Long and Short Term Holding. From the new title, which excludes Facility Statistics, it looks like BLM doesn’t intend to report them so “publicly” anymore. Click Here to view. Guess the GAO’s recommendation for more transparency is not something BLM sees as clearly necessary despite their dismal track record almost 33,000 wild horses and burros can attest too. While I’m on the subject of promotions, apparently Nevada State Director Ron Wenker, who was briefly promoted to Acting National Director, was replaced last month by Mike Pool, formerly BLM’s California State Director. In true irony, these are the only two BLM State Directors I have ever had any dealings with and I truly can’t decide which is worse; the guy that said “no” to water for wild horses and burros in Nevada and approved of permanently removing almost 1.6 million more acres of wild horse and burro habitat or the guy who first agreed to answer questions about zeroing out the Clark Mountain burros and then refused when he realized the request was demanding BLM do so in relation to the cumulative impacts their decision would have on the handful of remaining wild burro herds. (A analysis of cumulative impacts is required by law through the National Environmental Protection Act). As for Director Pool’s oversight of California’s wild horses and burros, here’s what wild horse crusader Kathleen Hayden and champion of the Coyote Canyon wild horses had to say when she heard about Director Pool’s recent promotion. “Is anyone aware of how obstructive this man has been in California on Wild Horse & Burro issues? He was a major participant in the Desert Managers Group that removed all wild horses and burros from Southern California to Nevada, bypassing Congressional mandates such as the National Historic Preservation Act, Sec. 106, NEPA, CEQA, FLPMA, and management of herd areas as covenants running with the land. He facilitated the extinction of rare breeds on public lands”. The Hayden’s ongoing struggle for the Coyote Canyon herds rightful place on their legally designated range, what BLM did to them – and consequently, the American people who were promised they would be protected and preserved - has recently been highlighted on Madeleine Pickens website. Thank you Madeleine! Photo at top of captured High Rock wild horse, #9468.